The Reverend Darrell Scott, pastor of the New Spirit Revival Center in Cleveland. The Reverend Darrell Scott, pastor of the New Spirit Revival Center in the Cleveland area, a speaker at the Republican National Convention and a member of the Trump Transition Team Executive Committee – by his own admission – falsely stated certain facts that curiously suggested that some of the top gang leaders he had a relationship with in Chicago were Trump supporters. 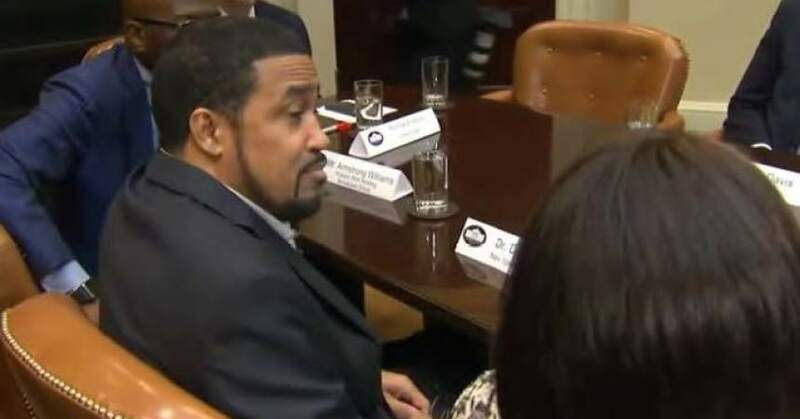 Scott made his statements apparently in an attempt to impress President Trump and others at a Feb. 1 White House Black History Month meeting of Black Trump supporters convened by President Trump. The president, who has already threatened on Twitter to “send in the feds” to Chicago, responded, “If they’re not going to solve the problem—and what you’re doing is the right thing—then, we’re going to solve the problem for them because we’re going to have to do something about Chicago.” In the end, the president seemed to show his approval of the meeting. But it doesn’t appear that any of Scott’s White House statements were true! Interestingly enough, those who have worked for years to reduce violence and crime in Chicago said they have never heard of or seen Scott. Father Michael Pfleger of St. Sabina Church, a well-known and respected combatant of the city’s crime problems, was one of the first to blast Scott for his statements. In January there were 51 murders in Chicago, one more than during the same month a year earlier. The city saw 299 shooting victims last month, eight more than in January 2016. 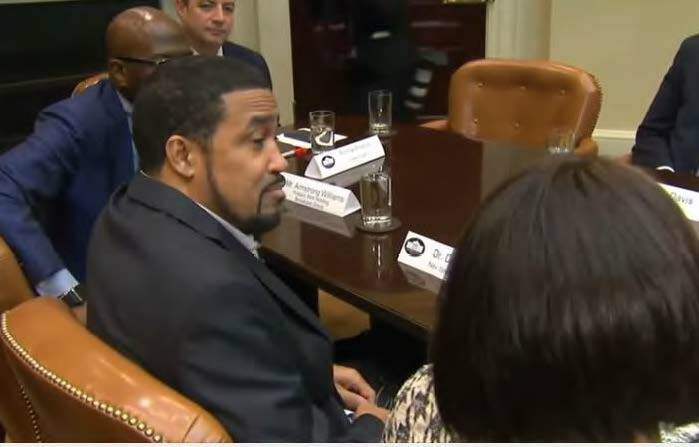 At a different point in the Feb. 1 Black History Month White House meeting, Trump noted that “Frederick Douglass is an example of somebody who’s done an amazing job and is getting recognized more and more, I noticed.” The remark caused many on Twitter to ask if Donald Trump even knew who the famed abolitionist and orator was.